A family provision order, or contesting a Will, is where an eligible person lodges a claim for further provision out of an estate. This may occur where they believe they have been unfairly treated under the Will and deserve a greater share of the estate or have been left out completely. In order to bring a claim under the Administration and Probate Act 1958, a person must be eligible. An eligible person may include a spouse or domestic partner of the deceased, a child, step-child or adoptive child of the deceased, or a member of the deceased’s household. The Administration and Probate Act 1958 expressly gives an adoptive child the status as an “eligible person” to claim further provision of a deceased’s estate under s 90. The definition provides for “a child of the deceased, including a child adopted by the deceased.” Therefore, an adoptive child would be treated much the same as a natural child under the legislation. 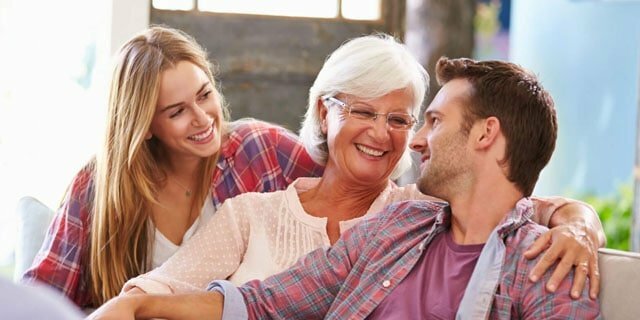 To go a step further, the legislation also provides for those who are not the natural or adoptive child of a deceased but may have, for a substantial period during the life of the deceased, believed that the deceased was a parent of the person and was treated by the deceased as a natural child. This allows for a broader category of “adoptive” children who are eligible to make a claim for further provision. Factors to Consider for an Adoptive Child When Contesting a Will? The same factors for a natural child of the deceased will be deliberated by the Court when considering a family provision order. The Court must take into account the deceased’s Will if relevant, any evidence of the deceased’s dispositions in the Will and any other evidence of the deceased’s intentions in relation to providing for the adoptive child. The Court may have regard to the length and nature of the relationship between the deceased and the adoptive child, any obligations of the deceased to provide for the child, the size and nature of the estate, the financial needs of the child, any disability the child may have, their age and any contributions they may have made to the estate. In this case, the Victorian Supreme Court weighed up whether the Plaintiffs were eligible persons to contest a Will under the definition provided in the Administration and Probate Act 1958. The deceased died without a Will and Letters of Administration was granted to the brother of the deceased, the Defendant. The Plaintiffs, a brother and sister, were the natural children of the deceased. Their parents had separated when they were 6 and 4, and they were subsequently adopted by their mother’s new partner. They were reintroduced to the deceased by their adoptive father when they were 16 and 18 and shared a parent-child relationship until the deceased’s passing. They brought their claim under s 90(g) of the Act, on the basis that they believed, for a substantial period during the deceased’s life that the deceased was their parent and they were treated as his natural children. The Defendant sought a summary judgement on the basis that the Plaintiffs were not eligible to contest. The outcome of this application depended on whether an eligible person, within s 90(g) of the Act, can encompass a natural child of the deceased who was adopted by another person or persons before the deceased’s death. The Defendant submitted that the Plaintiffs could not have had the belief that the deceased was their natural parent because they had the actual knowledge that the deceased was in fact their natural parent. The Defendant also asserted that by operation of the Adoption Act, the plaintiffs cannot claim to be a child of the deceased or a person who thought they were the natural child of the deceased as upon adoption, their adoptive father became their parent to the exclusion of all others. The Court concluded that there was a real prospect that the Plaintiffs were eligible people under the meaning of the Act and therefore, the Defendants application was dismissed. If you think you may be eligible to contest a deceased’s Will or have any questions regarding Challenging a Will, do not hesitate to get in touch with the team at Hentys Lawyers.